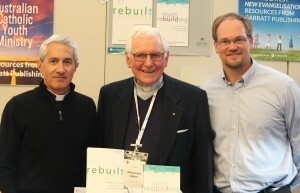 The key message for the Church is to call parishioners to grow as disciples of Jesus Christ, keynote speakers Fr Michael White and Tom Corcoran told delegates attending the Proclaim 2014 Conference on the New Evangelisation. “It is essential for the parish to reorient towards reaching those who are not active in the life of the Church,” Fr White said. “The key elements to rebuilding the parish are focusing on unchurched people, prioritising the weekend experience and moving Church people to action,” Tom Corcoran explained. If the Parish is a sleepy place, the authors emphasised the importance of focusing on “music, message and ministers”. 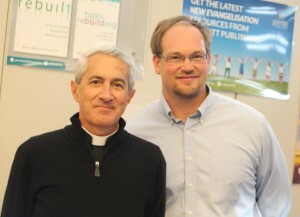 More than 500 participants were inspired and enthused by this message and appreciated hearing the practical experience of the keynotes who wrote a book together, ‘Rebuilt: Awakening the Faithful, Reaching the Lost and Making Church Matter’ about their parish, Church of the Nativity, Timonium, Maryland, US. Keynote speaker Dr Ruth Powell in an address entitled ‘finding a way forward’, presented trends in evangelisation across all denominations. Dr Powell was joined by three panellists from the Anglican, Baptist and Pentecostal Churches. One of the statistics presented by Dr Powell indicated that 52% of Catholic Mass attenders feel at ease sharing their faith, while another 15% look for opportunities to do so. The average Catholic newcomer is a 46-year-old female, married, university educated, looking for something missing in their life, Dr Powell said. For the Church to reach out to newcomers, mothers have the most significant influence. She challenged participants to think about how we as Catholics are supporting mothers and fathers in the task of evangelisation. Over the three-day conference, various workshops took place addressing a wide range of topics including, how to be an authentic welcoming community, disability and inclusion, understanding youth evangelisation, explaining your faith without raising your voice and how a parish can support the sexually broken. This entry was posted in Uncategorized on August 23, 2014 by Mark Wei.